More pressure is being applied to San Francisco 49ers owner Jed York over the way he is handling the domestic violence investigation of Ray McDonald. The 49ers defensive lineman was arrested in August and is being investigated for felony domestic violence involving his pregnant fiancée. McDonald continues to suit up for practice and play in games for the team. Activist group CREDO has launched an online petition in an effort to force the 49ers to comply with the National Football League's newly announced "zero tolerance" policy. The petition claims that by allowing McDonald to play, the NFL is sending a "terrible message that violence against women isn’t as important as winning on the field." CREDO is requesting that players under investigation for domestic violence be benched until their case is resolved. The petition is the latest in a string of public reactions to how the 49ers are handling McDonald's domestic violence investigation. Earlier this month, House Minority Leader Nancy Pelosi (D-CA) told reporters in Washington on that the 49ers, her hometown team, should not have let McDonald play. “Our coach says innocent until proven guilty, due process and all of that, but the fact is, he shouldn't have played,” Pelosi said. 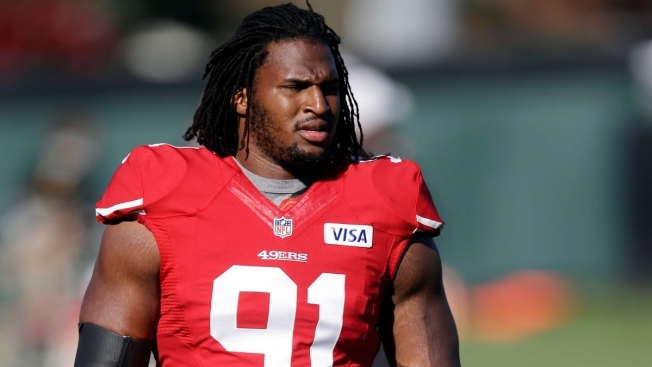 California Lieutenant Governor and former San Francisco Mayor Gavin Newsom has also called for the 49ers to "do the right thing -- right now -- and bench Ray McDonald" while San Jose police continue to investigate. Niners coach Jim Harbaugh, who has said he has zero tolerance for domestic violence, has defended the team’s position of allowing McDonald to play and to afford him the benefit of due process. "We have two principles at play here. 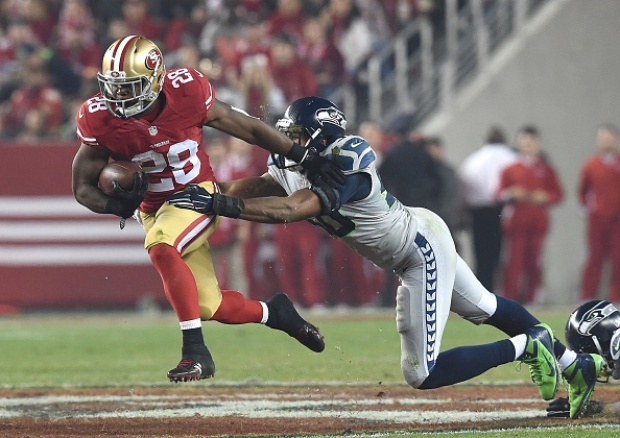 One is respect for due process," Harbaugh recently told Matt Maiocco, NBC Bay Area's 49ers insider. "And we’re not going to flinch, based on public speculation."